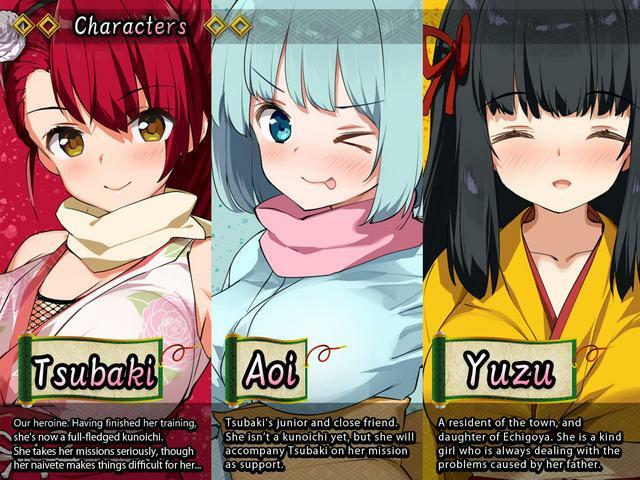 Kunoichi Tsubaki, a stealth RPG by Triangle!, has been released on Steam and DLsite. Kunoichi Tsubaki takes place in fantasy medieval Japan. Demonic warlords have taken control over the country and feed on the humanity’s malice; however, the promiscuous kunoichi girls are there to protect the people and vanquish the demons. The game features a mix of RPG and stealth gameplay. 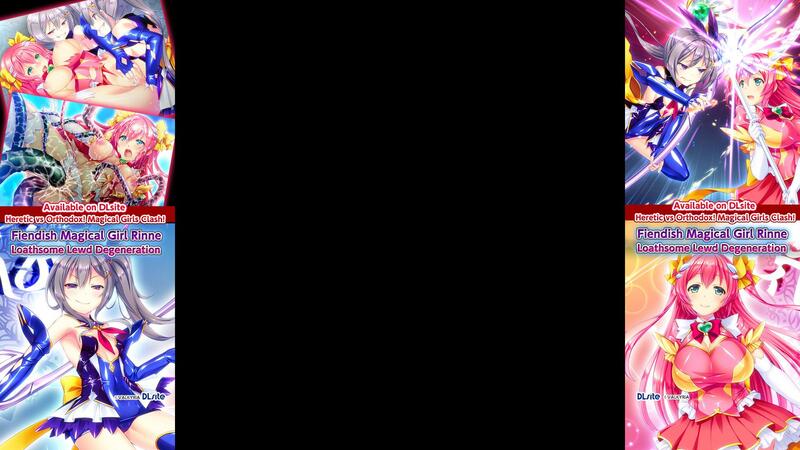 The player has to infiltrate the demon’s castle to hunt them down. To this end, they can first investigate the surrounding town, questioning the local populace. Once the player is ready, they can dress Tsubaki in her proper kunoichi outfit and engage the castle. Within the castle, Tsubaki can sneak around the wandering guards by avoiding their cone of vision, or transforming into animals to ignore their gaze, provided she has enough libido to do so. When attacked from behind, enemies fall instantly, but if Tsubaki is spotted or faces a boss enemy, the game will shift into a standard turn-based battle mode. demons known as "warlords" run rampant, as they feed on the malice of humanity. The people cower in fear at the warlords' oppression, and impotently accept their subjugation. The only people with the strength to resist the warlords, are a special group of women, shrouded in secrecy. You can purchase Kunoichi Tsubaki on DLsite for approximately $14.43 (1.620JPY) or on Steam for $14.39 at 10% off. After the sale, the game will cost $15.99. A demo of the game is available on the DLsite store page.